Tyson throwing bombs at a bewildered Peter McNeeley. QUICK FACT #1: In 1986 Mike Tyson became the youngest heavyweight champion in boxing history, surpassing the record of former heavyweight champion Floyd Patterson. Tyson was 20 years, 4 months and 22 days old. 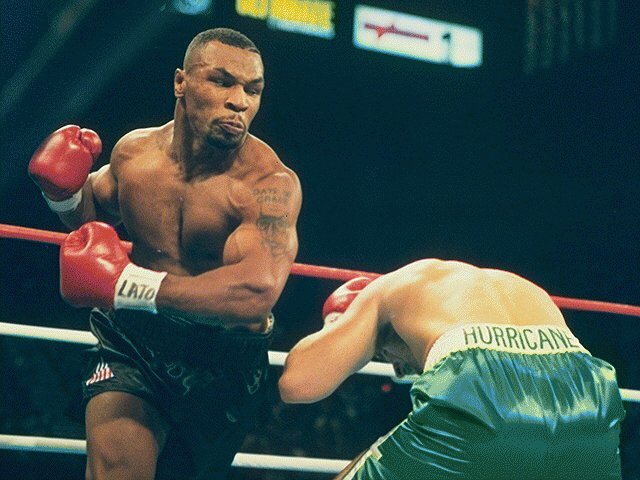 QUICK FACT #2: The average Mike Tyson fight lasts just over three rounds. QUICK FACT #3: Mike Tyson once KO'd an opponent leaving him with a fractured jaw, a fractured cheekbone and five missing teeth.